Today, we're giving our readers our Lyft stock and IPO guide to help them prepare ahead of the company's IPO. There's no Lyft IPO date right now, but when the company does go public, it will be one of the most highly anticipated public offerings for Wall Street since Snap Inc. (NYSE: SNAP) went public in March 2017. That's because Lyft is a new tech company disrupting the transportation industry, and Lyft stock could generate tens of millions of dollars in fees when it's finally listed. "The private driver space will be big for some time to come, especially considering that driverless cars will enter this space in the next few years. Once people take Lyft or Uber instead of a taxi, it's hard for them to go back to the old way of hailing a ride," Defense and Tech Specialist Michael A. Robinson told me. Today, we're going to provide you with everything you need to know about Lyft, as well as whether you should buy Lyft stock during the IPO. Where Will Lyft Stock Be Listed? 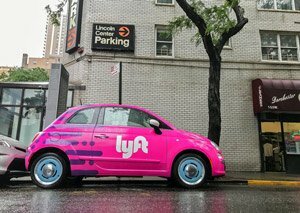 Lyft hasn't decided where it will be listed, but the potential fees the Lyft IPO will generate have banks and stock exchanges across New York competing for the company's business. Lyft will need to hire banks to underwrite the IPO. These underwriters secure buyers for Lyft stock ahead of the IPO and will buy up Lyft stock to ensure the outstanding shares are sold. IPO underwriters can make a lot of money in fees. According to CNBC, the 26 banks that underwrote the Snap IPO received a combined total of roughly $85 million in fees. But underwriters aren't the only companies getting in on Lyft IPO fees; stock exchanges are competing for Lyft, too. Exchanges like the Nasdaq and New York Stock Exchange (NYSE) will also collect fees if Lyft CEO Logan Green lists his company on one of those exchanges. While the amount of the fees isn't disclosed, the NYSE is expected to generate a few hundred thousand dollars in annual fees from Snapchat, according to Business Insider. Landing a highly sought-after IPO is also about bragging rights and generating future business. "Competition among the exchanges is fierce and winning large, marquee companies can have a halo effect that results in future listings business," Alex Wellins, co-founder of IPO advisory and investor relations firm Blueshirt Group told BI in a Jan. 19, 2017, report. There were glitches during the May 18, 2012, Facebook Inc. (Nasdaq: FB) IPO that may have made an NYSE listing more attractive for some companies. Investors were told FB shares would trade at 11:00 a.m., but shares didn't start trading until 30 minutes later. Then, some traders complained their orders weren't being completed. This may have swayed Twitter Inc. (NYSE: TWTR) and Snap Inc. to list their shares on the NYSE in 2013 in 2017, respectively, to avoid the risk of a similar snafu. Other private tech companies may also be drawn to the NYSE over the Nasdaq in the future, which means even more annual fees for the NYSE. And while underwriters and exchanges are obsessing over profits and prestige, retail investors are just trying to not miss out on "the next big thing." You see, some retail investors are still kicking themselves for not investing in Facebook when it went public on May 18, 2012. On that day, the FB stock price opened at $42.05 per share. Since then, the Facebook stock price has skyrocketed by 230% to today's (Jan. 8, 2018) opening price of $138.89 per share. For every success story like the Facebook IPO, there are also cautionary tales of investing in "hot tech" companies like Twitter when they debut. Twitter opened to retail investors on Nov. 7, 2013, at $45.10 per share. A little over a month later, it traded for an all-time intraday high of $74.73 on Dec. 26, 2013. That's a profit of 65.69% in a little over a month. However, the Twitter stock price has plummeted since then. The Twitter stock price opened this morning at $31.70 per share. Anyone unfortunate enough to buy in at those all-time highs on Dec. 26, 2016, and still holding on has watched their shares lose 57% in value. Much like with the Facebook and Twitter IPOs, there will be a lot of hype surrounding the Lyft IPO. While some investors will hand over their hard-earned cash to buy Lyft stock on the hype alone, this isn't a sound investing strategy. Money Morning wants you to be as prepared as possible ahead of the Lyft IPO. So before even considering investing in Lyft, we want you to know the company inside and out. Then, we will discuss whether to buy Lyft stock on the Lyft IPO date. Lyft is a "ride-sharing" app that connects drivers to passengers who need a ride. The passenger chooses their destination, and the driver is paid based on the length of the trip. To create an account with Lyft, a passenger downloads the Lyft mobile app on their smartphone. They will then enter their phone number and a payment method, either through a credit card or a Google Wallet, Apple Pay, or PayPal account. After the information is entered, a passenger can request a ride through the app. When the ride is confirmed, the passenger will be shown photos of the car and driver who will pick them up. Lyft also allows drivers and passengers to add personal information to their profiles, like their hometown and music preference, to encourage conversation between drivers and passengers during the trip. At the end of the trip, the passenger can tip the driver through the app. Who Is the Founder of Lyft? Logan Green and John Zimmer launched Lyft in summer 2012, but it operated as a service called Zimride, a separate company the duo created in 2007. Zimride focused on providing long-distance ride-sharing solutions for college students, launching at Cornell University in 2007. By 2012, the service had facilitated more than 26,000 carpools. The duo then expanded the company's transportation solutions with the Lyft launch in 2012, focusing on providing shorter trips within cities. Then in 2013, Zimride caught the attention of Enterprise Holdings. Green and Zimmer sold Zimride to Enterprise in July 2013 and began focusing solely on Lyft. Lyft's biggest competitor is Uber, the most well-known U.S. ride-hailing app. Lyft has rapidly increased its completed rides, going from 53.3 million in 2015 to 162.6 million in 2016. That's a 136% increase in one year, but it's still nothing compared to Uber's completed rides. In December 2016 alone, Uber completed 78 million rides in the United States, according to Forbes. In comparison, Lyft completed just 18.7 million. And more completed rides have also allowed Uber to generate more revenue and have a larger valuation. Lyft also operates just within the United States and is available in 531 cities. In comparison, Uber operates in 570 cities around the globe. In 2016, Uber generated $6.5 billion in revenue, according to Bloomberg. Lyft doesn't release exact financial totals, but generated $700 million in sales in that same year. But even with scandals hurting its valuation, Uber is still considered more valuable than Lyft. Uber is valued at $76 billion and Lyft is valued at $15 billion. When Will Lyft Go Public? On Dec. 6, 2018, CNBC reported that Lyft filed its public offering papers with the U.S. Securities and Exchange Commission, setting the stage for a 2019 IPO. Uber is better known, but Lyft would have an advantage in attracting retail investors if they were to go public first. Because retail investors have been anxiously awaiting a chance to buy Uber stock, they may just put money in the first ride-hailing company to hit the market. Can I Buy Lyft Stock Now? how to buy lyft prior to ipo?